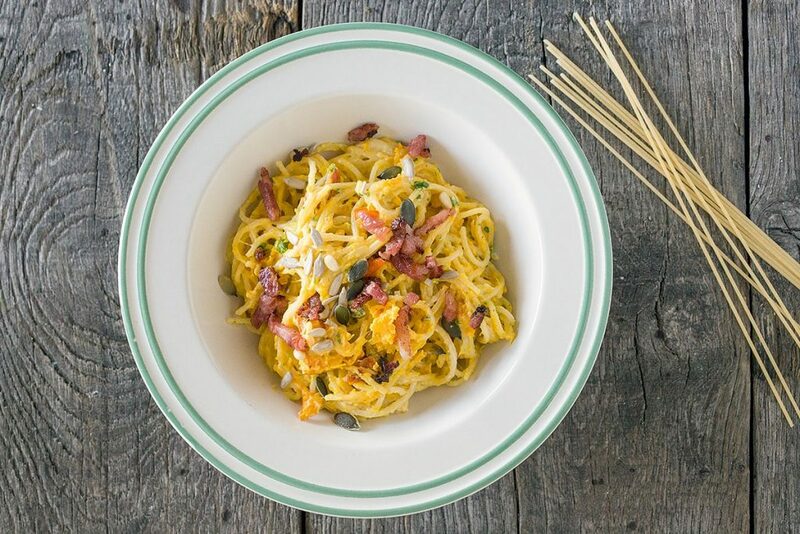 Cheesy pumpkin spaghetti can be served with or without bacon. Simplicity at its best! Served with crème fraîche for a lovely creamy pasta!